A UNIQUE SETTING FOR A REFINED CUISINE. 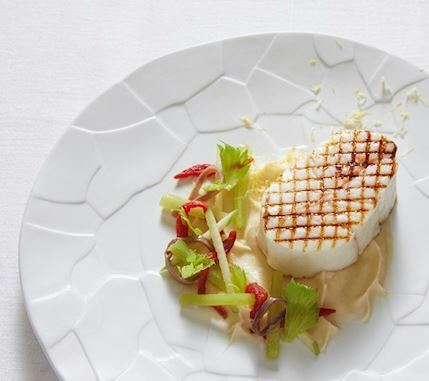 Contemporary style meets classic and daring cuisine of the renowned Chef Michel Roth at the Bayview restaurant Geneva. With a sleek design and refined service, the Bayview offers a unique setting to awake your senses for fine dining in Geneva. From the spectacular winecellar to the original and unique creation of floating jellyfishes in their blue aquarium, including the majestic suspended centerpiece and the Amadeus Saint-Louis glasses, every detail has been carefully chosen in order to offer a memorable experience. 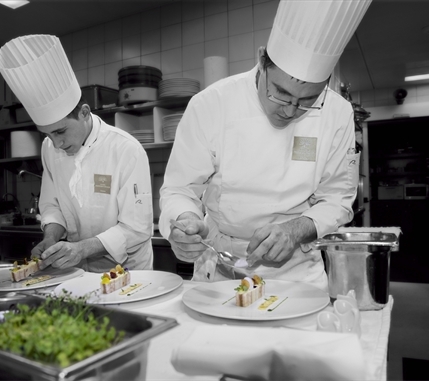 Today, the Bayview figures among the best restaurants of Geneva with a Michelin star and a grade of 18/20 at the Gault&Millau guide. 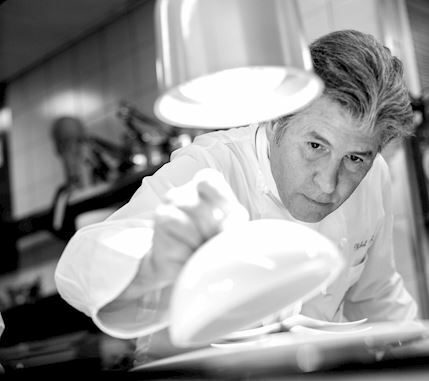 Simplicity, audacity and refinement - These are the values of Michel Roth's cuisine. 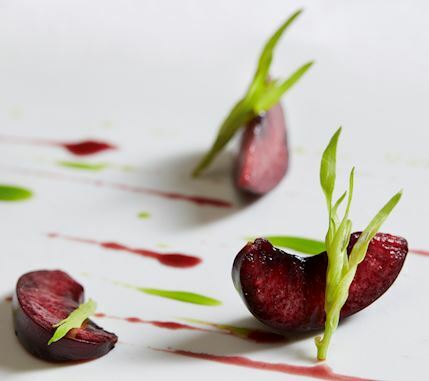 Trained in some of the most acclaimed fine dining restaurants in France, the Chef masters the classics of French gastronomy that he revisits and enhances to perfection, bringing a modern and original touch. Michel Roth designed his first « Swiss » menu around seasonal products and local savors, ingeniously mixed with the traditional French savoir-faire. The result is skillfully dosed out and the plate looks like a piece of art, where each ingredient has its place and reason for being. 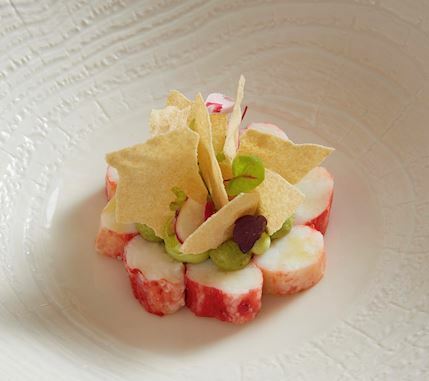 For instance, the restaurant is famous for the legendary « Potato cappuccino with truffles » or the « Warm lobster salad ». 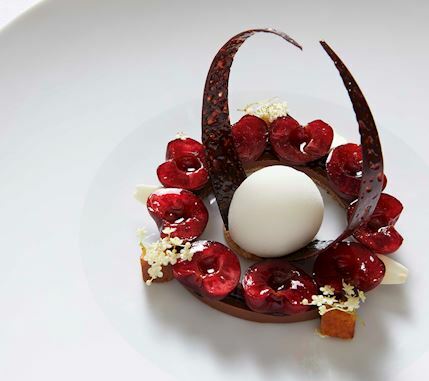 Beside this rigor, Michel Roth aims at creating emotion through his cuisine and his generosity and conviviality emanate both from his dishes and his restaurant : "I like guests to feel as if they were having dinner at a friend's place, while at the same time discovering some surprising and original dishes". 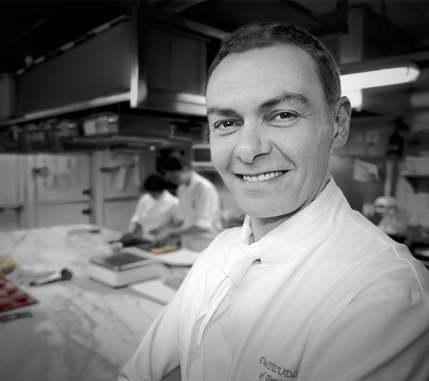 With regards to the desserts, Michel Roth chose to work with Didier Steudler, pastry virtuoso that excels in his field. Always focused on the taste, the pastry Chef firstly endeavors to highlight the product and bring some freshness and lightness in his desserts, while awaking taste buds with sometimes daring associations of ingredients. 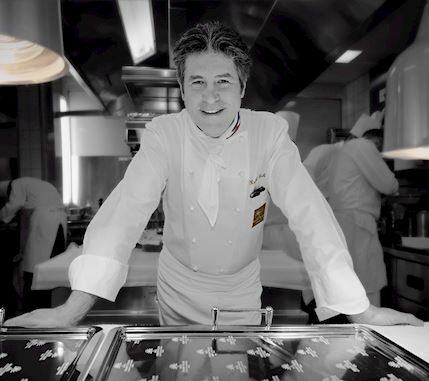 He particularly likes to work around fruits as well as cocoa and proposes some Signature desserts on the menu such as the « Guanaja 70% chocolate tart soufflé » or the « Millefeuille with diplomat cream, chocolate, praline and pure sea salt caramel sauces ».